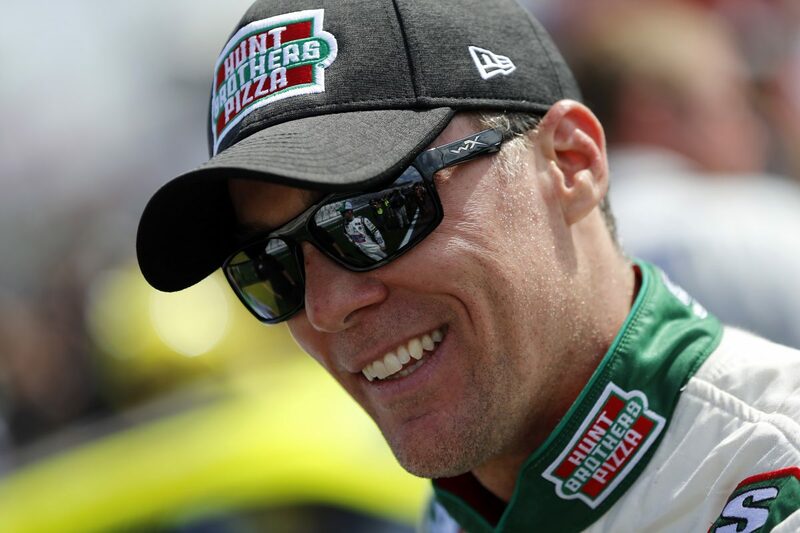 Hunt Brothers Pizza makes its fourth start of 2018 as a primary sponsor with driver Kevin Harvick in the No. 98 Ford for Stewart-Haas Racing with Biagi-DenBeste (SHR) during Saturday’s NASCAR XFINITY Series race Darlington (S.C.) Raceway. Hunt Brothers Pizza will pay tribute to the 20th anniversary of Harvick’s 1998 NASCAR West Series Championship with a throwback paint scheme on the No. 98 Ford Mustang. The 2018 scheme was inspired by the No. 75 Spears Manufacturing car that Harvick raced to five wins, 11 top-five finishes, 12 top-10s and five poles in 1998 en route to his first NASCAR championship. Hunt Brothers Pizza and Haas CNC Racing first teamed up for the 2008 season. In 2014, Hunt Brothers Pizza reunited with what had become SHR to serve as a sponsor in the Monster Energy NASCAR Cup Series. When SHR formed an XFINITY Series team for the 2017 season, Hunt Brothers Pizza became a primary sponsor with Harvick and the No. 41 team – which is now the No. 98. Harvick is making his final of five scheduled XFINITY Series starts in the No. 98 Ford Mustang for SHR in 2018. He won at Atlanta Motor Speedway in his first start of the season in the No. 98, finished 19th at Texas Motor Speedway in Fort Worth, eighth at Michigan International Speedway in Brooklyn and second at Chicagoland Speedway in Joliet. Harvick has one pole, three top-five finishes, nine top-10s and 189 laps led in 15 XFINITY Series starts at Darlington. Harvick won the pole at Darlington in August 2003 with a lap at 167.516 mph. His XFINITY Series career includes 47 wins, 185 top-five finishes, 259 top-10s, 25 poles and 9,688 laps led in 345 starts. Harvick will be joined Saturday by SHR teammate Cole Custer in the No. 00 Ford Mustang. The Hunt Brothers Pizza paint scheme gives a nod to your beginnings in NASCAR, inspired by your 1998 NASCAR West Series championship. What does running the Hunt Brothers Pizza throwback scheme like that mean to you? What makes Darlington Raceway so unique in terms of the racing? What is it about Darlington that makes it special for you as a competitor?